Do you keep a check on the guidelines laid down by Google when you look to optimize your website? Do you use any of the free tools that are provided by them? There is one thing that Google considers very seriously and that is to supply relevant and helpful content to the public who are using their platform to search for things. This is the reason they have created loads of tools to help them with it. When a website is being created it has to be kept in mind that the primary source of traffic for a website is the search engine. To make a website SEO friendly the pages of the website has to be optimized according to the guidelines of the search engine webmaster. The free tools that are available are used by the webmaster. The site is optimized by the webmaster not just for the search engines but also for the visitors. Some of the free tools are enlisted below. Google Trend is a tool that helps in researching for keywords by comparing the trends with the help of search terms, forecast, regional trend, its trending searches and many more. Ad Words tool is a keyword planner that helps in giving ideas for keywords and perform a search and forecast a traffic so that you select a keyword that is relevant. Robots.txt is a testing tool that helps in the testing of the robots.txt file. W3c is a validator that keeps a check on the extended validity of the documents that are provided in the web in XHTML, HTML, etc. There is a Cascading Style Sheets (CSS) validator that is used to check the CSS as well as the XHTML documents. Structured Data Testing Tool is a tool that is used to check whether Google can determine the structured data appropriately and then display it in the search result appropriately. There is a tool called Google Mobile Friendly Testing tool that checks whether a website that has been created is mobile friendly or not. With the escalated use of mobiles it has become increasingly important to make a website mobile friendly and this is determined by this free tool. Page Speed Tool that is available on Google is used to find out whether each of the web pages of the website is fast enough on all the devices. If the web pages take more time they are likely to lose viewers. There is free tool that helps you to keep a check on the site and help you to maintain the presence of your site in the search results of Google. This tool is primarily called the Google Search Engine Console. Lastly there is the tool called Google Analytics. This tool can help you analyze the prospective visitors of your website and thus, determine the amount of traffic that your website is capable of attracting. 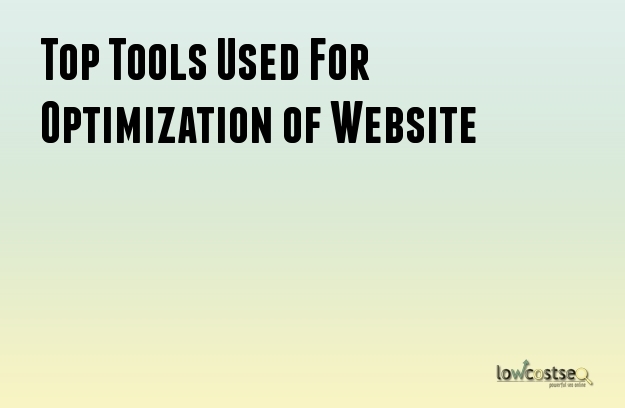 All these tools will help you to optimize the website you have created for the search engines and thus, guarantee you more traffic.